Powerful lithium-polymer battery Dualsky. Discharge current: 45C constant (24.8 A). Size 54x30.5x17.5mm. Weight: 49g. 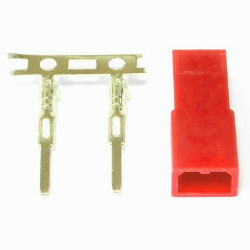 In our offer we have also the charger and JST connector suitable for connector packages.